Belief is defined as “an opinion or conviction, confidence in the existence of something not immediately susceptible to rigorous proof” . A person can believe in something that is ultimately proved false—for example: the earth is flat or the earth is the center of the solar system. Faith is defined as “belief in God or in the doctrines or teachings of religion” . Through revelation, the prophet Joseph Smith identified three components necessary for true faith. [F]aith is the assurance which men have of the existence of things which they have not seen, and the principle of action in all intelligent beings. . .
First, the idea that [God] actually exists. Thirdly, an actual knowledge that the course of life which he is pursuing is according to [God’s] will. For without an acquaintance with these three important facts, the faith of every rational being must be imperfect and unproductive; but with this understanding it can become perfect and fruitful, abounding in righteousness, unto the praise and glory of God the Father, and the Lord Jesus Christ. Neglecting any of these principles relegates one’s conviction to belief only, not faith. Another important differentiation between belief and faith, is that faith leads to salvation and thus convicts to action. The terms faith and belief are sometimes regarded as synonyms; nevertheless each of them has a specific meaning in our language, although in earlier usage there was little distinction between them, and therefore the words are used interchangeably in many scriptural passages. Belief, in one of its accepted senses, may consist in a merely intellectual assent, while faith implies such confidence and conviction as will impel to action. Dictionary authority justifies us in drawing a distinction between the two, according to present usage in English; and this authority defines belief as a mental assent to the truth or actuality of anything, excluding, however, the moral element of responsibility through such assent, which responsibility is included by faith. Belief is in a sense passive, an agreement or acceptance only; faith is active and positive, embracing such reliance and confidence as will lead to works. Faith in Christ comprises belief in Him, combined with trust in Him. One cannot have faith without belief; yet he may believe and still lack faith. Faith is vivified, vitalized, living belief. Neither belief nor its superior, actual knowledge, is efficient to save; for neither of these is faith. If belief be a product of the mind, faith is of the heart; belief is founded on reason, faith largely on intuition. 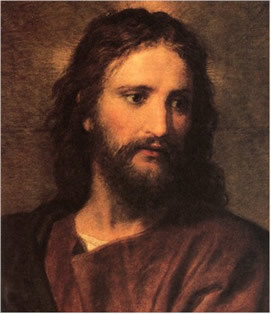 Jesus Christ clearly defined the path of salvation which requires a person to act in faith: repentance, baptism by immersion by one with proper authority, receipt of the gift of the Holy Ghost, and endurance throughout life by obeying God’s commandments and making and keeping sacred covenants. Faith Accepts Every Doctrine of Salvation. Faith in God and Jesus Christ includes acceptance of every part of the Gospel. Each aspect of the doctrines of salvation interrelates so succinctly to the others, that a person cannot accept a portion of the Gospel without accepting all parts of the Gospel. Therefore, to believe in Jesus Christ is to believe in God the Father, the prophets who testify of Them, and all of the laws, ordinances, and covenants comprising Their Gospel. To believe in baptism but reject repentance, for example, makes vain one’s faith. When the Jews clamored that they believed in the prophet Moses, Jesus Christ declared that they did not. “Had ye believed Moses, ye would have believed me: for he wrote of me. But if ye believe not his writings, how shall ye believe my words?” (John 5:46-47). In The Book of Mormon, Jesus taught the same principle, “He that will not believe my words will not believe me—that I am; and he that will not believe me will not believe the Father who sent me” (Ether 4:10-12). At the conclusion of his writings, Book of Mormon prophet Nephi testified, “If ye shall believe in the Christ ye will believe in these words, for they are the words of Christ” (2 Nephi 33:10). Faith can germinate from belief when based on correct principles. Yet to be true faith, action must follow and salvation achieved. ↑ Smith, Joseph. The Lectures on Faith. Covenant Communications Inc. 2000, #1 and #3. ↑ Talmage, James E. Articles of Faith. Deseret Book Company. 1990, pp 96-97. This page was last edited on 5 February 2014, at 22:12.